Posted on December 06 2016 by Candela Controls. Candela Controls, Inc. is proud to announce it's listing as a Top Specialty Contractor for 2016 by Engineering News-Record Southeast. ENR reports on the top design firms, both architects and engineers, and the top construction companies as well as projects in the United States and around the world. 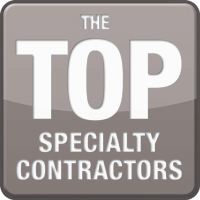 The complete list of top specialty contractors can be viewed here.